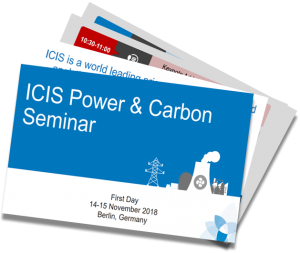 In cooperation with EEX, this year’s ICIS Power and Carbon Markets seminar will once again bring together the most relevant and up-to-date information on future trends, impact on the markets, key developments and potential growth opportunities for the markets. presented by our market analysts and guest speakers. The presentation provides an overview of the most engaging developments in the markets, including topics on Brexit, regulation impact and renewable capacity.